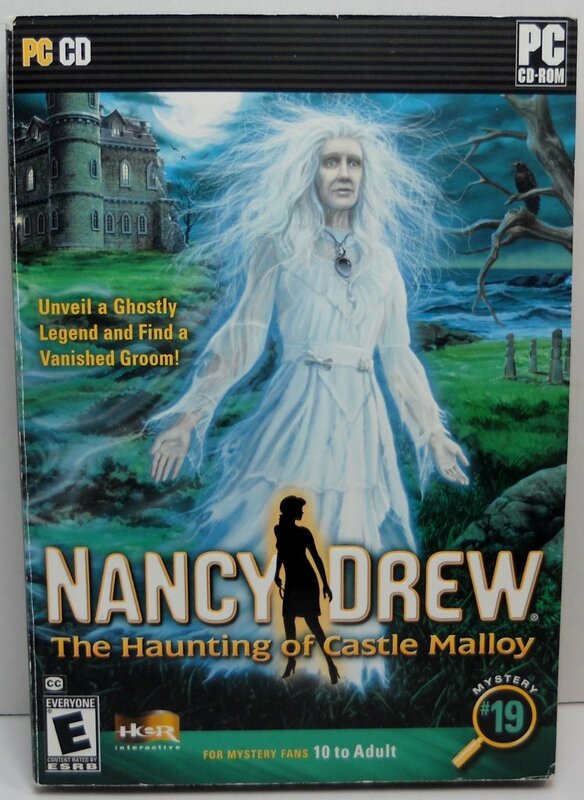 Nancy Drew's friend, Kyler Mallory, lost her fiance! Her wedding at Ireland's Castle Mallory was supposed to be the biggest event in Bailor since half the castle blew up sixty years ago, but now the groom is gone. 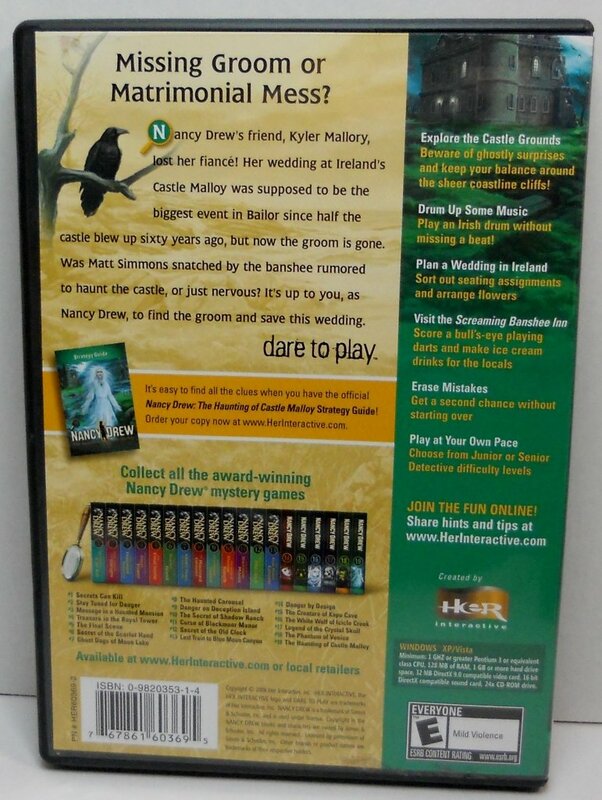 Was Matt Simmons snatched bu the banshee rumored to haunt the castle, or just nervous? Nancy Drew's friend, Kyler Mallory, lost her fiance! Her wedding at Ireland's Castle Mallory was supposed to be the biggest event in Bailor since half the castle blew up sixty years ago, but now the groom is gone. Was Matt Simmons snatched by the banshee rumored to haunt the castle, or just nervous? 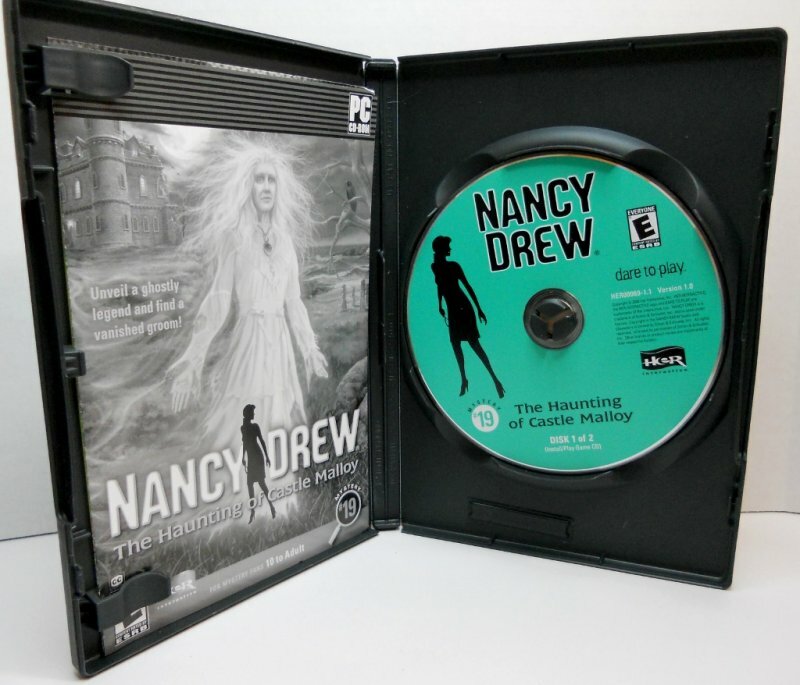 It's up to you, as Nancy Drew, to find the groom and save this wedding. Dare to play. 2 discs, case, box cover, inserts.